London – If a tourist becomes seriously ill or has an accident in a remote area of South Africa – for instance while on a safari and there was a lack of suitable medical support on hand, it is the reputation of that business and region that will suffer accordingly, according to Simon King, founder of Park Doctor. He was part of a panel discussion on the need for businesses in the tourism industry to take responsibility for security, health and safety of guests. 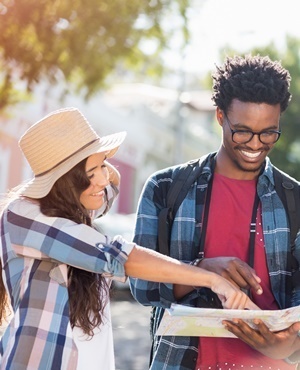 During the discussion Heather Pennock, destinations manager for health, safety and operations at the UK travel trade organisation ABTA said research shows safety and security is the number one consideration when people decide to book a trip to a destination or not. King said that makes it even more important to look at the way guests will be taken care of medically in case of need in non-urban areas in SA like game parks. “Travel insurance is very important, but that is not going to help a tourist when he has a medical emergency in the middle of nowhere with no suitable infrastructure provided,” said King. King emphasised that an insurance mindset does not work in remote areas if there is no infrastructure to respond to medical situations tourists might require. He suggests the best way for the tourism industry in a particular non-urban area to deal with this is to try a cooperative crowd funding type of approach. He said private game reserves around the Kruger National Park can be seen as an example of this king of sustainable partnership approach when it comes to medical infrastructure. For King the two major questions role players in the tourism industry should ask themselves are firstly who is sending tourists into these remote areas in the first place and secondly who makes the profit from it. That should then make it clear in whose interest it would be to ensure that the necessary medical support system is in place should an emergency happen in a non-urban area. King proposes that a practical way to go about generating funds for such a purpose would be to raise a half a US cent on the dollar “tourism tax” to support the needs of people visiting and living in protected non-urban areas of SA. For him tour operators are key in informing tourists of the important contribution such a levy could make.